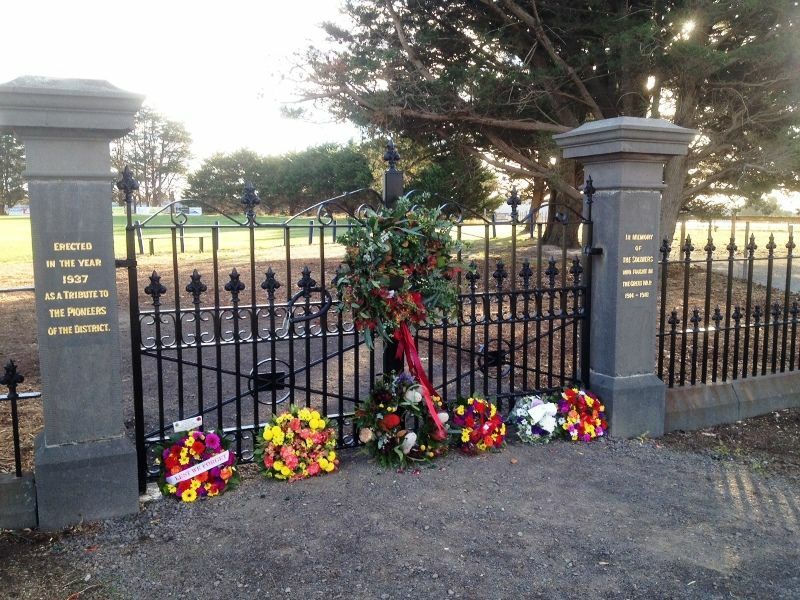 The original Ceres Memorial Gates were unveiled on the 9th June 1937 by the Acting Premier of Victoria, Mr Old. 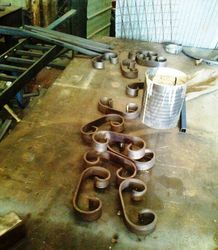 The gates were erected by residents of the district to commemorate the soldiers who served in World War One and the district pioneers. 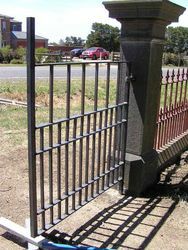 These gates mysteriously disappeared during the mid-1970’s and replaced with the lightweight set by the now defunct Barrabool Shire Council. 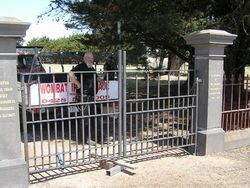 In 2015, to mark the Centenary of ANZAC, the Ceres Community Association committed to the replacement of these gates with a replica of the original design. 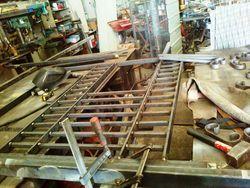 The replacement gates were officially re-opened on the 19th of April 2015. 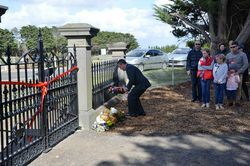 A large gathering of residents of the Barrabool Hills district and old residents took part in the unveiling of the memorial gates to the Ceres reserve on Wednesday, 9th June 1937. 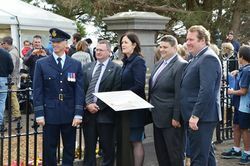 The ceremony was performed by the Acting Premier, Mr Old who was welcomed to Ceres by the president of the Barrabool Shire Council, Councillor J. W.White. 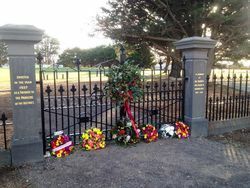 On one of the pillars to the gates is an inscription in memory of the pioneers of the district and the inscription on the other pillar is in memory of the district soldiers who served in the Great War. The Argus (Melbourne), 12th June 1937.